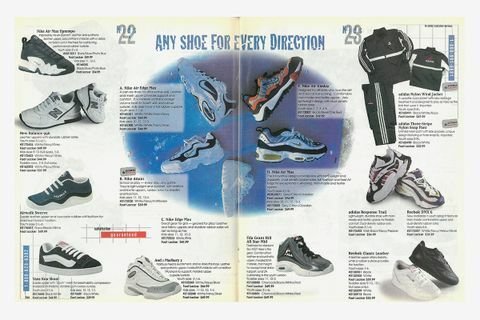 Back in the mid ’90s, Nike Air Max cushioning was in the midst of a rapid evolution. Sneaker designs were progressing quickly, with the Air Max 95 and Air Max 97 becoming the industry’s aspiration for footwear perfection. The Air Max 98 has always played somewhat of a second fiddle to its predecessors, however. The younger sibling to the Air Max 97, the AM98 was built on the same Nike Air-Sole, but lacked the smooth, undulating lines of the 97. There were still some wavy lines, but there were also stripes and patches that chopped up the shoe into different sections. The 98 just didn’t flow as well as the 97. Regardless, it’s worth noting that the AM98 released in plenty of eye-catching colorways, many of which will be returning in 2018. Here’s a look back at some of the highlights from 1998. Designed by Sergio Lozano, the same man responsible for the Air Max 95, the AM98 was touted as the best Nike running shoe available. An anatomically designed, dual-pressure, full-length Air-Sole unit with a lateral crash pad system cushioned and guided the foot through each step, while a full-length air bag absorbed the punishment. Featuring synthetic leather and a mesh upper, there was an overlay strapping system for fit and support, a sculpted polyurethane midsole, and a BRS 1000 Nike Regrind outsole. If the Air-Sole unit looks similar to that of the AM97, that’s because it is. 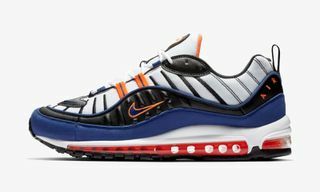 The tooling of the Air Max 97 was carried over and used for the 98. Though Air Max running shoes are rarely taken seriously by hard-core runners, the AM98 was definitely comfortable. One of the main issues was the lack of arch support in the shoe – it wasn’t designed with the overpronator in mind. Few runners were training for marathons in them, but they were perfectly fine for shorter runs. 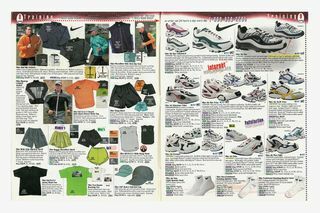 For sportswewar catalog Eastbay, the Air Max 98 debuted in the 1998 February edition (which would have been sent out in January). 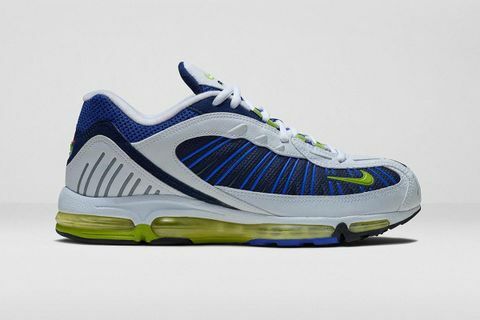 The men’s and women’s versions retailed for $149.99, which was the same price as the AM97 a year earlier. 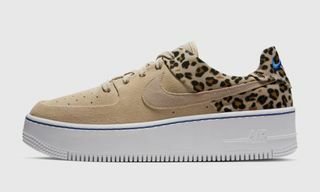 There was a cement/maize/obsidian colorway for men, and a white/maize/ultramarine colorway for women. A grey/citron/obsidian version also was available for kids, but with a modified Air Max 95 sole. The tooling for a full-length Air-Sole was most likely not available for the grade school (aka GS) model at the time, but it’s an interesting and possibly subtle nod to Lozano the designer, since the same groundbreaking sole was featured on his most famous runner, the Air Max 95. Beginning in the early Fall, the debut colors of the AM98 started showing up in the Eastbay sale section. 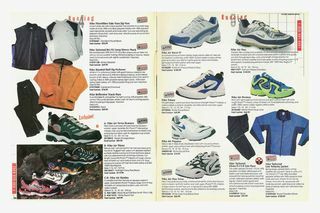 This was not necessarily surprising in the 90’s, as plenty of iconic sneakers went on sale due to high price tags and overproduction. 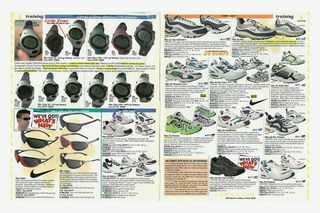 Just a few months earlier, the Air Max 97 was on sale as well. In the basketball section, it wasn’t surprising to see some of the most popular Air Jordans of all time at a reduced price – sometimes for almost half off. 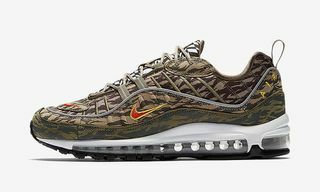 It didn’t help the allure of the AM98, however, as once the bright red sale bubble appeared, it almost always made a style less desirable. 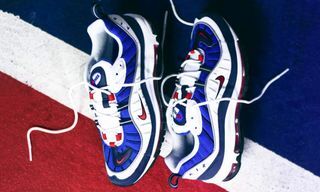 By the fall, Nike was already pushing another Air Max runner, now known as the Air Max 98 TL. This model had an updated full-length visible Air-Sole, along with a sculpted Phylon midsole. 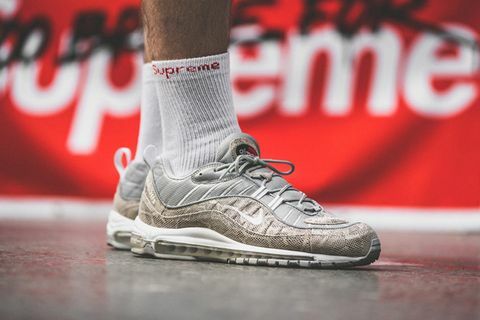 This AM98 TL was extremely comfortable and stylish, and the first Air Max 98 was quickly forgotten. 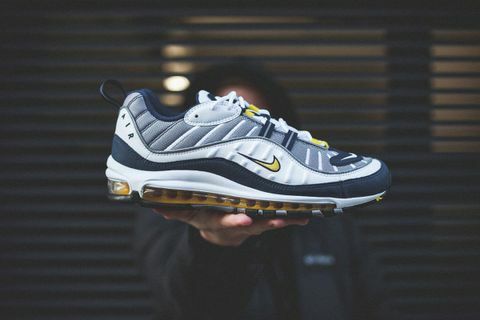 Incredibly, the Air Max 98 TL has yet to retro. Besides the TL, Nike debuted the Air Max Plus, which featured a new Tuned Air technology. The Tuned Air pillars in the heel produced maximum cushioning and arch support for anyone who overpronated. Besides the AM98 TL and Air Max Plus, there was already consumer demand for an Air Max 95 retro. The AM95 also returned in the fall of ’98 in updated and highly coveted colors. 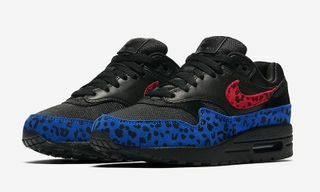 There are some general guidelines Nike employs when deciding to retro a sneaker: the shoe should be approaching or celebrating a milestone anniversary. The shoe should be cost-efficient to reproduce. The shoe should have a cult following. And the shoe should have changed the game. That final rule may not apply in the case of the Air Max 98, as there was not much groundbreaking about it. 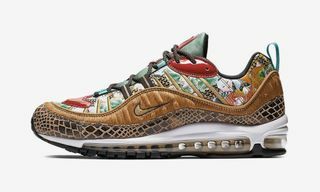 The fact that Nike used the same visible Air-Sole on the AM98 as they did on the AM97 perhaps displayed a lack of creativity. Or, perhaps they had just designed the best possible sole a year earlier, and it was worth adding to new silhouettes (attention: VaporMax fans). Regardless, the Air Max 98 will be seen a lot in 2018, and not many people are complaining. New York-based sneaker commentator perpetually stuck in the ’90s.